ROME, Sept 6 (Reuters) – Steel giant ArcelorMittal reached a deal on Thursday with trades' unions over its planned purchase of Ilva, opening the way for the contested takeover just days before the Italian steelmaker runs out of cash. 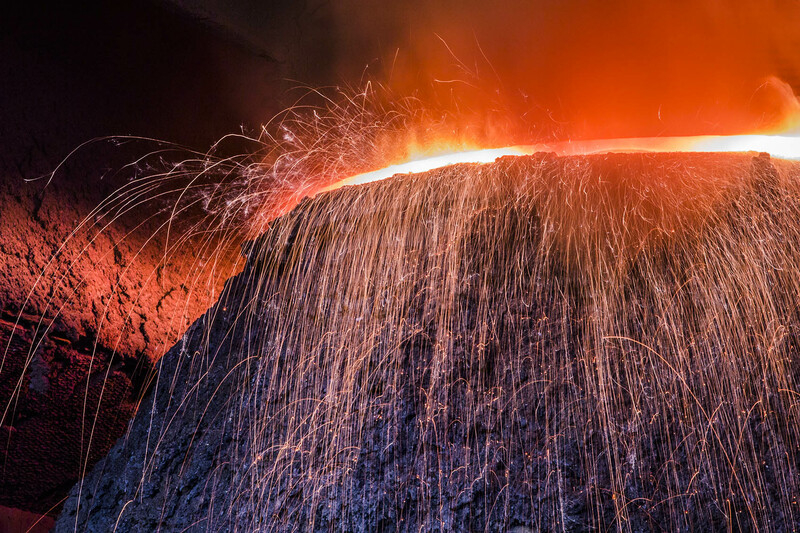 ArcelorMittal signed a preliminary agreement last year to buy Ilva, which has the largest steel-producing capacity in Europe, but Italy's new government questioned the validity of the contract after it took office in June. However, with funds set to run dry later this month and thousands of jobs on the line, Deputy Prime Minister Luigi Di Maio said on Thursday he would no longer oppose the takeover following the union accord. "The deal means that public interest will not be served by annulling the tender," said Di Maio, whose party, the 5-Star Movement, had previously called for the closure of Ilva's main polluting plant in the southern Italian city of Taranto. Under the deal, ArcelorMittal agreed to take on 10,700 of the current 13,500 workforce at Ilva, some 500 more than it had originally proposed. The firm also promised a 250-million-euro ($290-million) fund to offer layoff incentives to workers. ArcelorMittal, the world's biggest steelmaker, has also pledged to improve its plan to curb pollution at Taranto, which has been blamed for hundreds of cancer-related deaths. Pledged to improve its plan to curb pollution at Taranto. The 5-Star's coalition partner, the League, hailed Thursday's deal, saying Di Maio's intervention had prodded ArcelorMittal to improve its terms. "(Di Maio) did better than those who came before him. From words to action," League leader Matteo Salvini said. Ilva took root in the heel of Italy's boot in the 1960s as part of a drive to industrialise the impoverished south. With a cap imposed to limit harmful emissions, output has fallen to under five million tonnes a year and the company is losing some 30 million euros a month. ArcelorMittal says that with its know-how, it can turn the business around. Besides the 1.8 billion euro cost of acquisition, it says it will invest 1.2 billion to boost productivity and 1.1 billion to curb pollution. Ilva's state-appointed commissioners told parliament in August they only had enough money to keep on running the business until September, after which it would either need fresh government funds or to be shuttered.